I have not written in my blog in almost two weeks - yikes!! I hope this mega-post makes up for it. I have many happy things to say today! 1. I am up to 52 followers!!!!!! I am so excited! I remember when I got my first follower, and it was the best day ever. I feel that way every time the number changes. So thank you, friends who are following me now! You make my life so happy. 2. Yesterday I stopped by my school to pick up my science teacher's manuals and I got to check out my (totally empty) classroom! 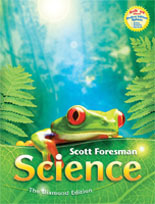 When I got all the teacher's manuals from the retiring 1st/2nd grade teacher, she gave me one of the student science books and told me that they never ordered a teacher's manual. So... I went ahead and asked for one, and my awesome principal ordered it right away. I am really excited to use this curriculum; from what I have seen, it looks great! While I was at school, I got to go inside my classroom and I took some "before" pictures. I am hoping my "after" pictures will make it look like a totally different classroom! My school was built in 1916, so it is pretty old building, but it has character. This is the view from the back of the room - so this is what the students will be seeing. The teacher desk is in the top right corner, as you can see, and I don't plan on leaving it there. Also, as you peruse through the pictures, you may notice that my room's theme is Creation (I think). Please note the SUPER high ceilings! It makes the room feel gigantic. Except I can't hang anything from the ceilings..... I think I will do some kind of clothesline thing so that I can hang student work without getting on a hundred-foot-tall ladder. Here is one of the side walls. I'm planning on using the chalkboard as a word wall since it's magnetic. I will need a HUGE word wall since I have first and second graders. Underneath the chalkboard is a set of little cabinets, as you can see. I talked to my principal about taking the doors off so I can house my classroom library there. When I opened the doors, I found a ton of books that the retiring teacher left for me. This is AWESOME because I knew she had left me other books on a different shelf, so these were like secret treasures! And the last picture is of the other side wall, which is all bulletin board area. I'm hoping to use the area where the teacher desk is as our "rug" where we will meet to do whole-group instruction, read-alouds, calendar, and all that jazz. The fourth wall is giant windows with radiators underneath. The radiators are painted in the creation theme. I tried to get a good picture, but it was too sunny. They are very interesting looking.... so stay tuned for the painted radiators! So, as you can see, my room is very brown! Just the other day, I was reading Kristen's post about how she covers her tables with contact paper, and I think I might do that, if only to add some color to the room. 3. Yesterday, I signed up to be a part of Mrs. Saoud's and Ms. Mathes's postcard exchange! One classroom from each state will participate and send a postcard to 49 other participating classrooms. If you haven't signed up yet, click the link and check if your state is taken! I am super excited about this. My school is in a small farm town, and many of the students haven't even gone to Chicago (which is just a train ride away). I think they will benefit greatly from this project and I can't wait to start! 4. I have gotten SO MANY books for my classroom! I have gone to garage sales, used book sales, school closing sales..... any kind of sales. And I have gotten lots of stuff! It's nice now, knowing which grade I'll have, so I can buy things specifically for my students. I'm thinking that my mom is excited for August to come so I can clear out these boxes! There are two more boxes not picture here, all full of books (although some are my teacher's manuals - two for each subject, since I have two grades in my classroom). 5. Since I am reading Math Work Stations, I was really looking forward to going through my math manuals specifically. Debbie Diller keeps saying to look in your manual for game ideas. Let me just say, I am pretty sure we have the most BORING math curriculum in the world. We use Houghton-Mifflin Math. When I talked to my principal yesterday, he said he really wants to get a new math curriculum for next school year (2012-2013), and I will be able to help pick it! Thanks so much for spreading the word about the postcard exchange!! Agreed! We are excited that you are joining us. It looks like you've been busy! I can't waited to see the finished product of your room.